TWO Mini protective fabrics GREAT KLEID & ROTE HAARE-12.5 x 7 cm each-compact, medium-weight cotton satin with light elasticity. The pairs of angels are mirrored, i.e. they are also suitable for sewing mini dolls. 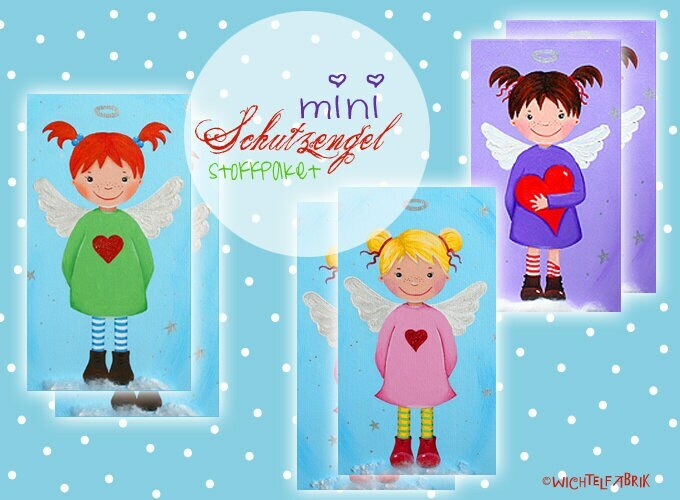 The sewn-on angels are also allowed to be used for commercial purposes! Incl. 0.5-1 cm seam addition-varies slightly depending on the subject!